Advertiser.ie - Could Galway city become Ireland’s first urban national park? A call for the political, community, environmental, business and sports sectors to work together in making Galway Ireland’s first National Park City has been made by a local science, environmental and community advocate. Brendan Smith, Galway’s current Volunteer of the Year, has said that the city should follow the recent example of London where Mayor Sadiq Khan has put his full support behind ambitious plans for London to become the world’s first urban national park. At a Green Leaf-themed meeting last week attended by city officials, environmentalists and community activists, the idea was very well received. Now he feels that there is a need for all stakeholders to come together to plan out the principles for such a designation and put together a multi-sectoral team with a unity of purpose to start implementing the process. “Such a status would not in any devalue the traditional designation of a National Park which is about protecting wildlife in natural environments located in rural countryside or marine areas. It would be a new type of park designation in which people and biodiversity could live in mutual benefit. “Galwegians could become world pioneers in helping to create something this is so urgently needed as we are becoming an increasingly urbanized planet with over half of the global population now living in cities and where scientific research is clearly showing that our disconnect with Nature is impacting negatively on our wellbeing as well on the health of the planet,” he said. Mr Smith went on to say that of the serious challenges facing Galway as with many other cities such as obesity, mental health, low community cohesion, poor air quality, pollution, high waste levels, illegal dumping, car-based traffic gridlock, urban sprawl, sterile green spaces, flooding, biodiversity loss and the negative impact of climate change could be overcome by becoming an Urban National Park. “A ‘Green’ identity for Galway would complement our Arts and Science-Technology characteristics. The city already has enormous advantages due to its physical and human geography. 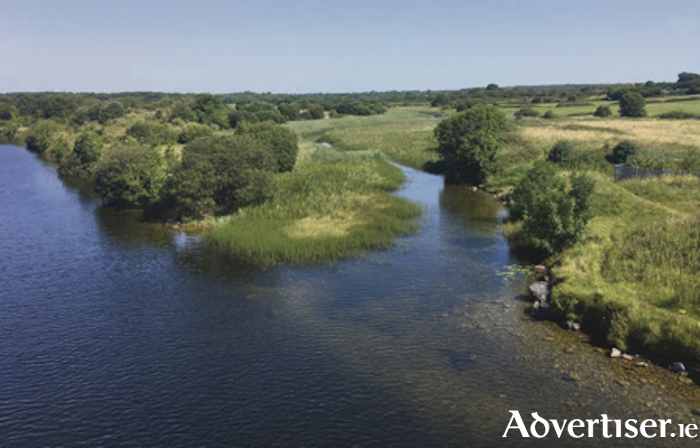 It is located at the juncture of the Atlantic Ocean, the world famous natural landscapes of Connemara and the Lough Corrib/Mask waterways that reach deep into the hinterland of rural Mayo. “It will become the terminus for the proposed Dublin-to-Galway cycleway and the starting point for the Connemara Greenway which is garnering enthusiastic support in the west of the county. With a conservative estimate of over twenty per cent of its landmass classified as green space, it has a wide range of natural wildlife habitats including coastline, woodlands, bogs, hedgerows, karst limestone outcrops, wetlands, lakes, rivers and canals. There is also still in existence a plethora of almost forgotten rural laneways or botharíns on the outer perimeters of the city, a remnant of its rural heritage that could easily become a network of walking and cycling trails,” he said. “We can continue to harness the enthusiasm and power of local communities, schools, retired associations and youth groups through novel schemes such as a volunteer park rangers and nature trail guides to make the vision of an Urban National Park a reality. But we need to do more if we are to create a sustainable green city of the future,” said Brendan Smith. “We must become a laboratory for new smart sensor technologies and transform our planning policies in order to integrate renewable energies, a safe walking/cycling/public transport infrastructure, rainwater harvesting, green roofs, neighbourhood farming and urban villages of cohesive communities into our city’s fabric. “Following the example of London, taking advantage of our Green Leaf designation and realising our city must do something radical to protect biodiversity, absorb population growth and secure a quality of life for its citizenry in a time of climate change that could be devastating to the planet, the drive to create a Urban National Park could be our salvation,” he concluded.